Fig. 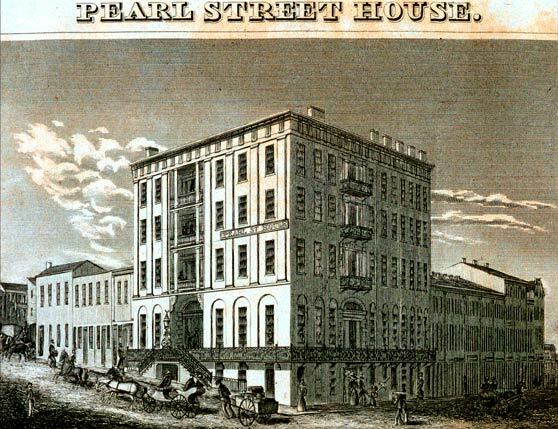 2.18 Pearl Street House. / Cincinnati. Mrs. J. Goddard & F. M. Cockrell. Proprietors. Drawn and Engraved by Doolittle & Munson. Engraving. 3&2/16 x 4&8/16 in (7.94 x 11.43 cm). Charles Cist, Cincinnati in 1841 (Cincinnati: printed and published for the author, 1841), facing p. 60. Cincinnati Historical Society Library.